March 30 is celebrated as World Idli Day. The popular south Indian dish is so favoured by the people not just in India but even across the borders. Although a lot of us prefer eating Idlis for breakfast, not many would be aware of a day celebrating their favourite breakfast item. The idea of marking this day was of M Eniyavan, founder of Mallipoo Idly, a popular chain in Tamil Nadu. World Idli Day has been marked since three years now. People on social media are sharing pictures of the humble breakfast item and declaring their love for idlis. World Idli Day 2019: 5 Health Benefits of Everyone's Favourite Breakfast Dish, The Idli! Talking about this day, M Enviyan was quoted to IANS, "The humble idli is the safest food for all ages - children to elderly. It struck me to celebrate March 30 as World Idli Day when there are several days like Father's Day, Mother's Day and more." A recent study conducted by food delivery platform Uber Eats revealed that Idli is the most ordered food item in the cities of Bengaluru, Mumbai and Chennai. And the love for Idli goes global as San Franciso, London and New Jersey are the top international cities which have ordered idlis. On this occasion, many are sharing lovely pictures of idlis on their social timeline feeds. Twitter Hails the King of Breakfast, Shashi Tharoor Calls it 'Greatest of All Food'. Idli Jokes are here too! Are you feeling hungry by looking at these idli pictures? Well, then what is a better way to celebrate idli day by making or ordering for idlis? 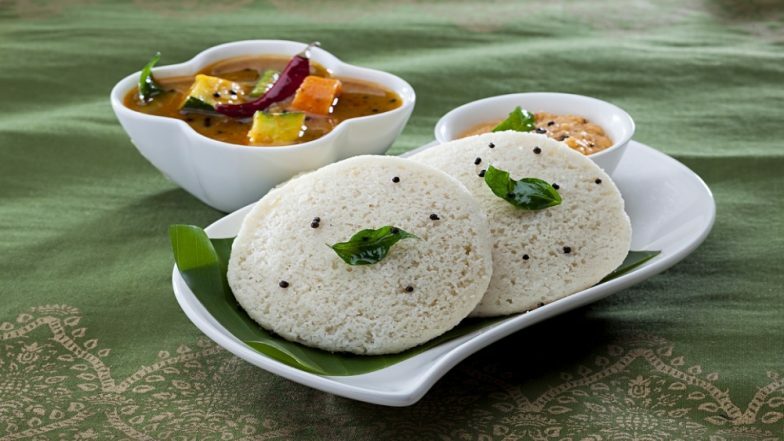 Go ahead and call for your favourite breakfast as mark the World Idli Day. Wish you all a very happy and healthy World Idli Day!